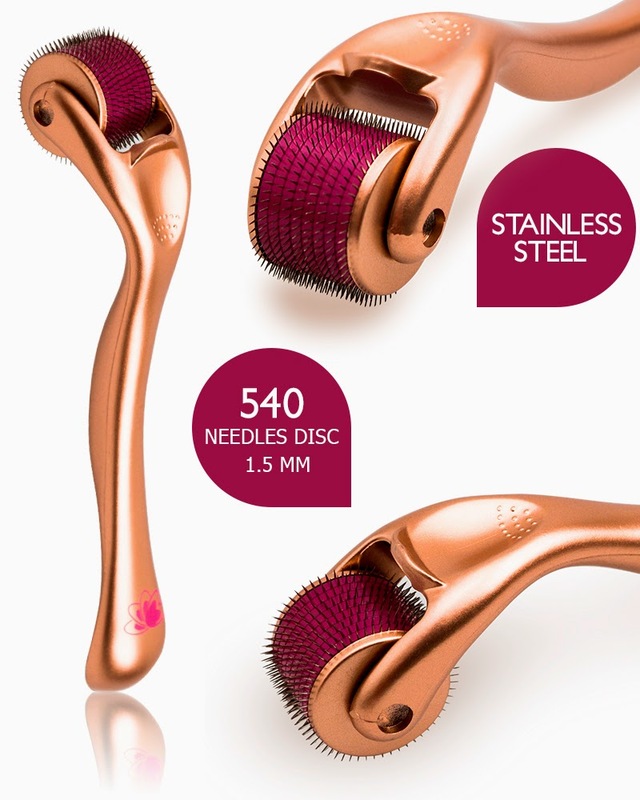 This Petunia Skincare is available in 1.5mm and contains 540 needles made with surgical stainless steel. 1.5mm can penetrate deeper than the 1mm derma roller and it is perfect for those with scars, deep scars, stretch marks, or cellulite. The 1.5mm is very effective for the body and face! I've been using the 1.5mm derma roller every other week on the thicker parts of my face that have been showing signs of aging (my forehead and between my eyes) and with larger pores (my cheeks and chin) - I chose not to use this derma roller on my nose because of the thinness of the skin in that area. During and immediately after use my skin is red, swollen, stings, and will bleed in some areas. The rolling seems to plump my skin, and the healing process really changes the way my skin looks. It has not only begun to smooth out fine lines, and shrink large pores, but it has also helped diminish hyper-pigmentation. 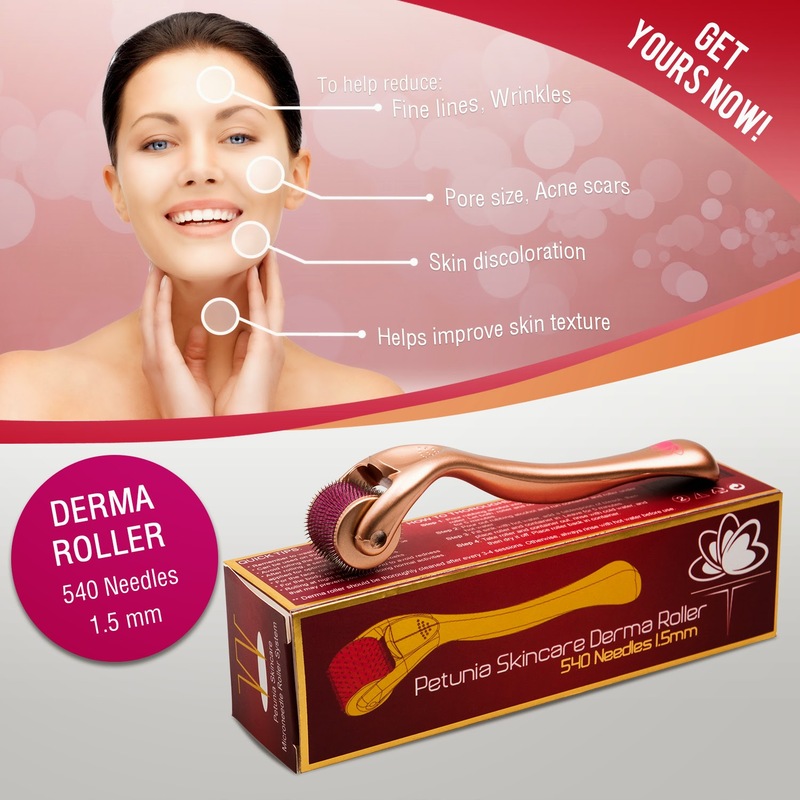 You can find the Petunia Skincare 1.5mm Derma Roller on Amazon.